The Kingsbury's visiting French chef, Eric Berrigaud, is set to present Colombo with an exquisite French experience at The Grill restaurant from the 29th of June to the 19th of July. Eric Berrigaud's culinary journey started at a young age when helping his mother. He then went on to acquire firsthand experience by travelling to all corners of France. He notes that the foundation of his career lies in the understanding he gained on the variations of produce and intricacies of each region's culture and lifestyle. From there he went on to showcase his skills in this sophisticated cuisine at five star hotels, in Relais and Chateau (individually owned and operated luxury hotels and restaurants), palaces, bistros and also by working alongside Michelin star chefs and as a personal chef. 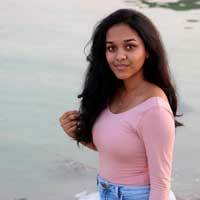 Chef Eric Berrigaud alongside Director of Culinary Operations and Executive Chef, Kithsiri De Silva, has curated a menu to reflect age old traditional french gastronomy. Some of his specialties include Prime Beef 'Cote de Boeuf', Dijon herb crusted Australian lamb rack, Duck Confit Hachis Parmentier, Nicoise salad and a mouthwatering selection of desserts. Eric's gourmet dishes are not only a treat for your tastebuds, but also a visual feast of sophisticated and delicate French artistry. 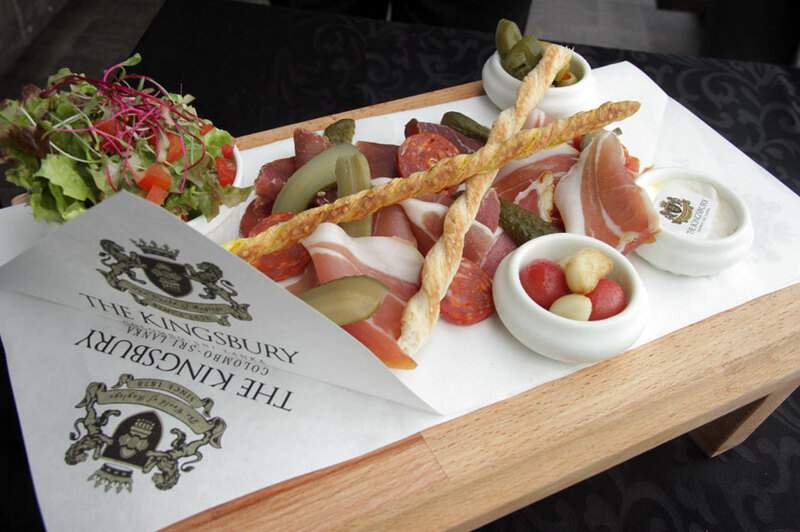 The Kingsbury is prepared to give its guests a gourmet tour of France through the chef's impeccable meals and an excellent selection of wines to match at hard to believe prices. 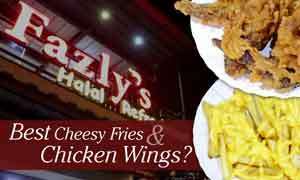 The menu will consist of an array of appetizers, main courses and classic French desserts. From among the fifteen delicacies presented, we selected a few delectable ones for you to try. From the appetizers, the Cold Cuts Plancha, the Carpaccio and the Bistro Gourmand Salad were mouthwatering even before we tried it. The Cold Cuts Plancha, had a selection of imported French, Italian and Spanish air dried sausages and beef, ham, salami and pate served with gherkins and pickles. Each meat item on the plate had a distinctive and strong flavour and the pickles and gherkins added a balance to all the meaty flavours on the plate. The flavourful meat selections made by the chef have to be appreciated. 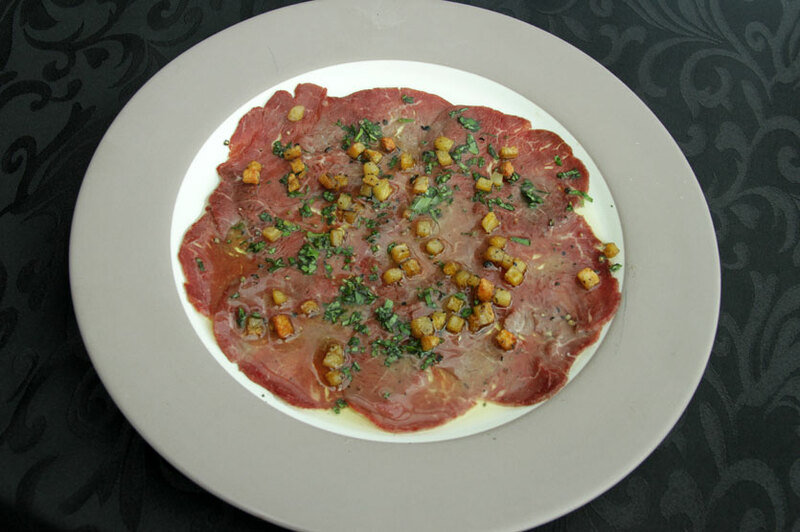 The Carpaccio was a finely sliced Australian beef fillet drizzled with flavourful basil olive oil and sautèed potatoes. The highlight of the dish was its basil flavours. The tenderness of the beef was complimented by the crispy texture of the potatoes. 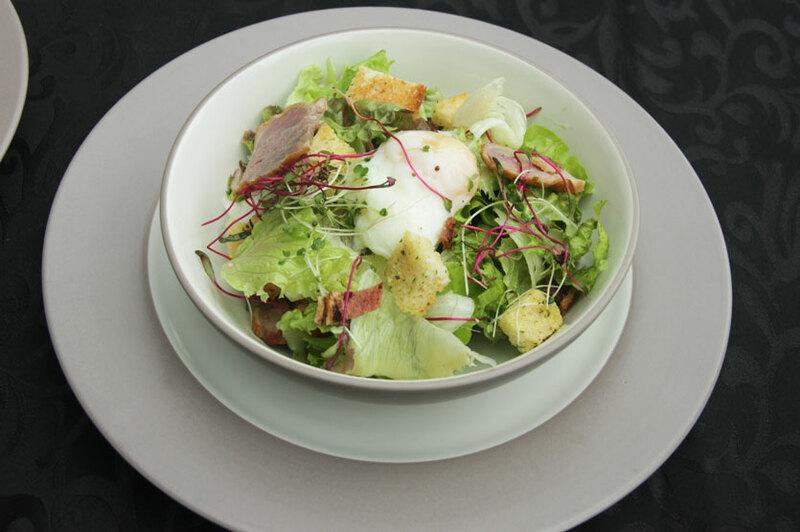 The Bistro Gourmand Salad was a mixed green salad with smoked duck breast, croutons, crispy bacon, poached egg and a marvellous vinaigrette. The key flavours of this dish came from the bacon, the poached egg and vinaigrette. A surprising factor about the salad is that the egg is boiled at a temperature of 62.5° for one hour so as to achieve the perfect poached texture. Moving on to main courses, we selected the Josper Oven Baked Norwegian Salmon, the Aged Grain Fed Tenderloin of Beef and the Duck Comfit Hachis Parmentier. 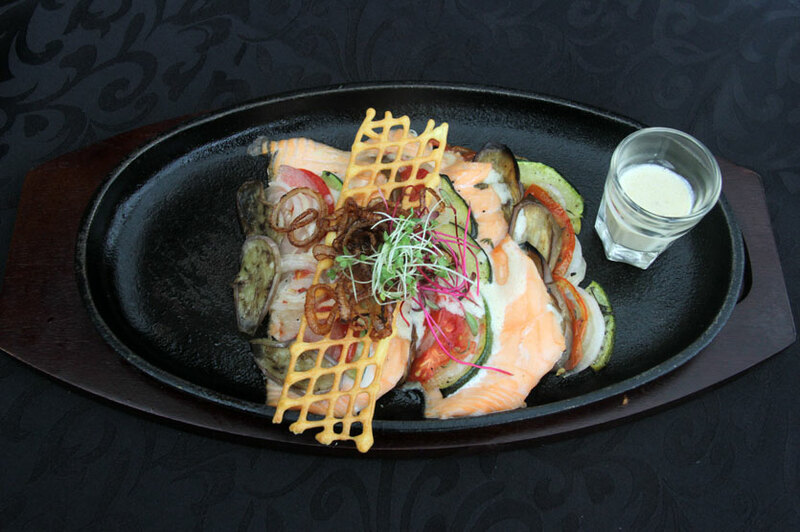 The Josper Oven Baked Norwegian Salmon dish consisted of a bayaldi gratin and a lemon butter sauce. The salmon was cooked well and there was an ooze of buttery flavours. Layered underneath the fillet were zucchini, eggplant, tomatoes that were minimally flavoured so as to balance out the fish and sauce. The best dish under the six main courses was the Aged Grain Fed Tenderloin of Beef. This had a rock lobster tail, beef tenderloin, mashed potatoes, sautèed spinach, wild mushroom and a mushroom and pepper sauce. 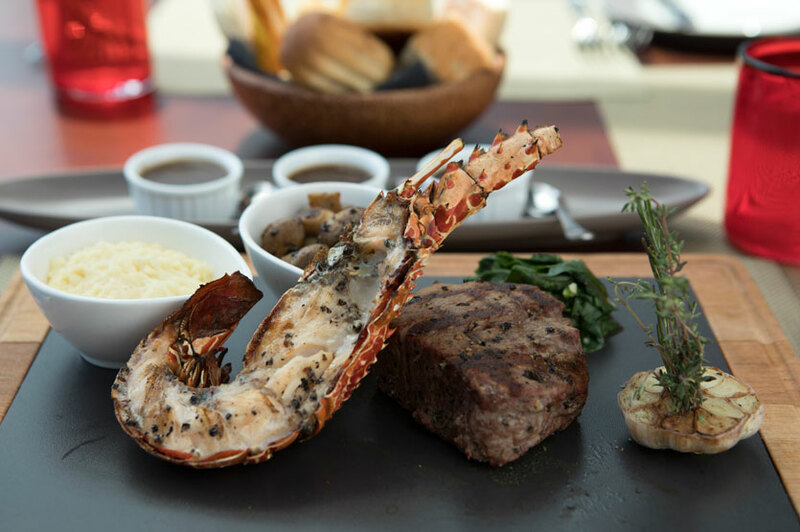 The combination of soft lobster meat (baked in a Josper oven) with beef was a first for me. The soft and creamy mashed potatoes, mushroom and spinach were perfect sides to the lobster and beef. The flavours that loitered in the lobster meat have to be applauded. The beef was full of flavour as well. The last main course dish that we recommend is the Duck Comfit Hachis Parmentier. 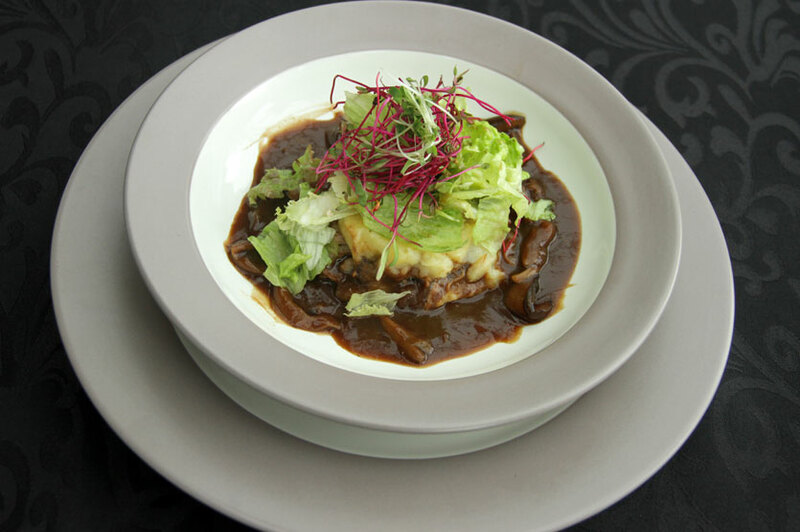 This dish is a French classic version of a Shepherd's pie, served with mushroom sauce, mashed potato and salad. The duck was marinaded for 6 hours and cooked to tender perfection. 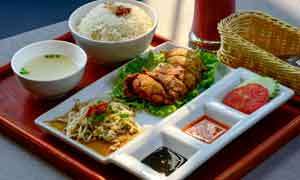 The soft texture of the meat and the rich flavour left by the long marinade was the highlight of this dish. The mushroom sauce and mashed potatoes complimented the duck meat well. Among the four desserts available, the best three to try are the Profiteroles, Pineapple Carpaccio and Crêpes. 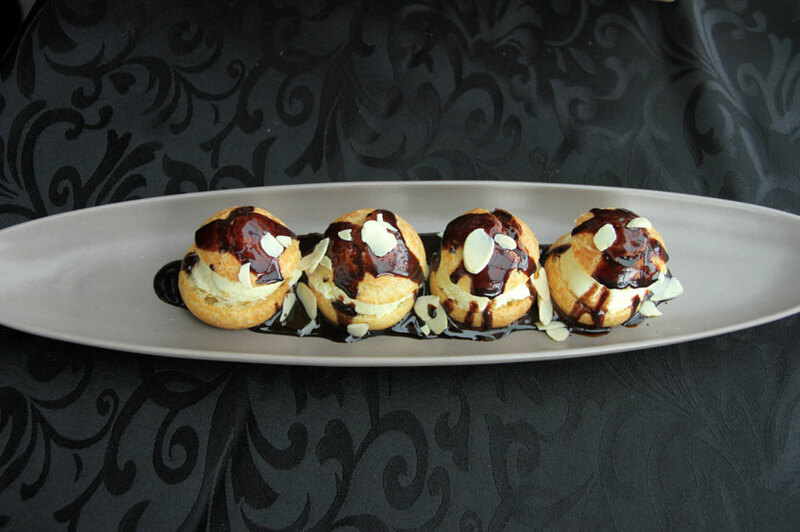 Profiteroles are a classic French ice cream dessert with the choux pastry filled with ice cream and served with a warm chocolate sauce. This dessert is perfect for the sweet tooth and is simply wonderful. 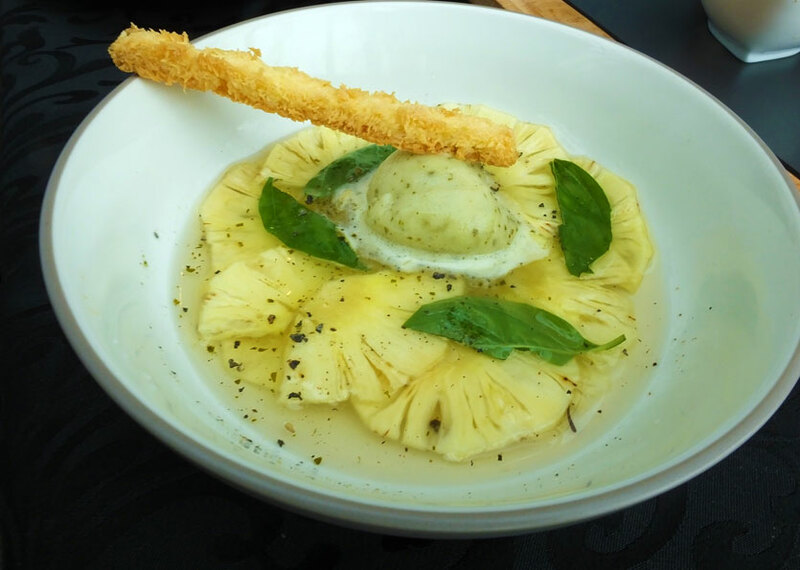 The Pineapple Carpaccio is a thinly sliced pineapple dessert with a basil and lemon sherbet. The pineapple slice is marinated for 6 hours. This dessert is good for someone who wants to cleanse their meat filled system. The lemon, tangy and minty flavours were complimented perfectly with a sweet coconut shavings stick. This sweet and sour dessert was my absolute favourite. 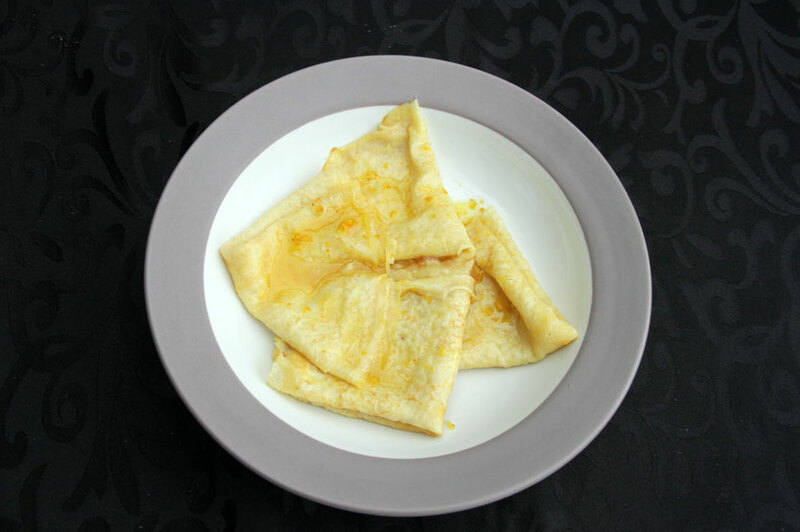 Finally, the Crêpes, also known as Crêpe Suzette, were laid over a pan with orange butter sauce and flambèed with Cointreau. This too was a delectable dessert with sweet orange flavour. This is a minimal dessert and is not too heavy. The orange flavours along with the buttery feel of the pancake were a good twist to the standard crêpe. Let the connoisseur in you enjoy this authentic French experience in the comfort of your own country. Take this once in a lifetime chance and visit The Grill at The Kingsbury. Chef Eric's French menu is available at The Grill from the 29th June to the 19th of July from 11:00AM to 11:00PM daily. Reservations are preferable. If you do require small twists to your dishes, feel free to talk to the chef. For reservations please call 0771 087 720 or log on to www.thekingsburyhotel.com/colombo-restaurants.